Deliciously soft bamboo shorts – your summer sleepwear essential. The perfect length, making them comfy to wear to bed or while you’re lounging round, without riding up! The side pockets have a beautiful grosgrain detail and the waistband is adjustable, with elastic and a drawstring tie. 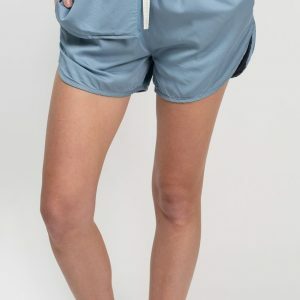 Pair these shorts with our Harper Short Sleeve Shirt for the most gorgeous matching pyjama set, or with our Candice Tee for an even more relaxed style. Made from sateen bamboo which only gets softer through washing and wearing. Fit notes: This style runs a little small, so we recommend going up a size if you want a looser fit. Please note that this is not a stretch fabric. Item is designed to allow for shrinkage and will fit larger before washing.